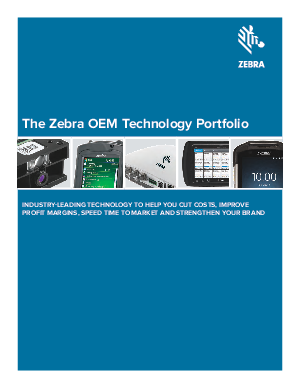 When you choose Zebra as your OEM partner, you get a portfolio that delivers industry leading features, durability and reliability — a portfolio that saves everyone time and money. You save on development time and cost. And your customers get best-in-class well-proven solutions that drive time and cost out of their everyday operations. You enjoy larger margins, while your customers begin reaping the value out of their solutions faster, for a faster return on investment.